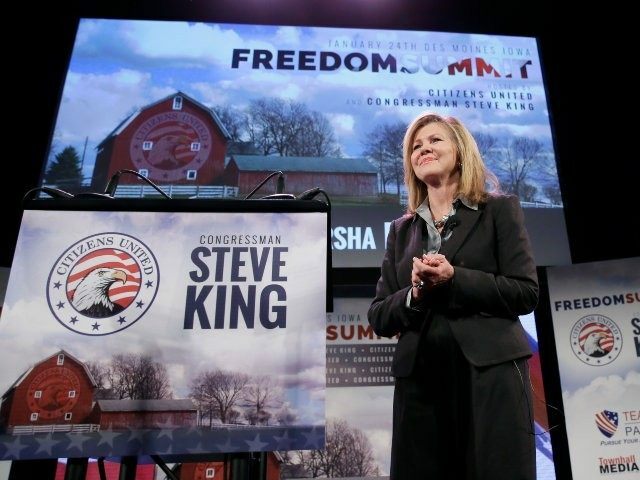 Rep. Marsha Blackburn (R-TN) laid out in an exclusive interview with Breitbart News at the Iowa Freedom Summit the biggest coming scandal of 2015: That the Obama administration is allowing corporations to data mine from healthcare.gov. Blackburn, a conservative Republican from Nashville, Tennessee, was one of the U.S. House members at the conference that featured several potential 2016 GOP presidential candidates. Blackburn is someone in Congress who can pull many Republicans from different sides of the party in her direction on an issue, and her keen interest in this Obamacare data mining scandal seems to indicate it will become a big deal moving forward. “It is totally outrageous,” Blackburn said. “The federal government—think about it like this. They mandate that you go to this website, and that you enter your personal identifying information, healthcare information and sensitive data into this repository. Your file, if you will, at this website. “Somebody is making money off of you,” Blackburn said. Earlier the week before the Iowa Freedom Summit, the Associated Press broke a story that revealed serious data mining concerns with the Obamacare website. Some top line findings from the AP article are that data firms may be tracking people as they use the healthcare website and that there were multiple connections to third-party technology firms confirmed by the AP. This weekend, the AP followed up with another story detailing how the Obama administration has now “reversed course Friday and scaled back the release of personal information from HealthCare.gov.” The AP noted that the Obama administration’s decision to back off using Obamacare-mined data for corporate sales purposes seemed to have come in response to its original investigation.